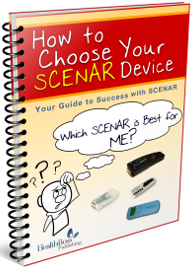 If you want to buy, sell, or rent out your SCENAR or COSMODIC device, send us your information at support@healthboss.org or complete the form on the bottom of this page – and we will post it here. Internal clock reports a total of 56 hours. Priced to sell at $2000. See attached photo. 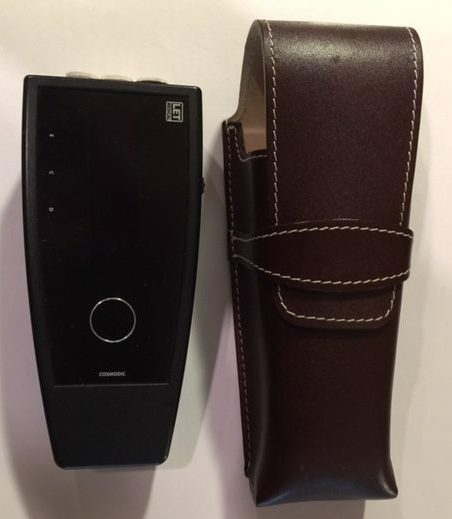 I purchased it in 2016 to have a backup Slider at the office in case something went wrong with my original slider and because we sometimes needed to have a second one when a staff member was working at the same time. I no longer need the backup as I’m semi-retired. This one was gently used and is in perfect working order. 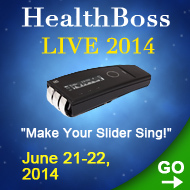 Included: HealthBoss University LIVE 6-14 DVDs. Used for personal use only; no longer needed. 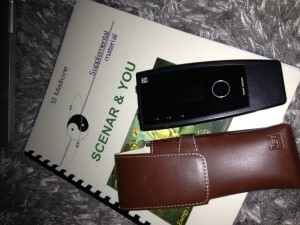 Includes leather case and instruction booklet (also available in PDF). Purchased new, July 2015 from Mediscen @ $1,895 USD. Barely used, maybe 3-4 times for personal use. I just never really took to it. Case, charger and extra batteries included. Fulling charged. Please note light in photo indicating that it’s working. 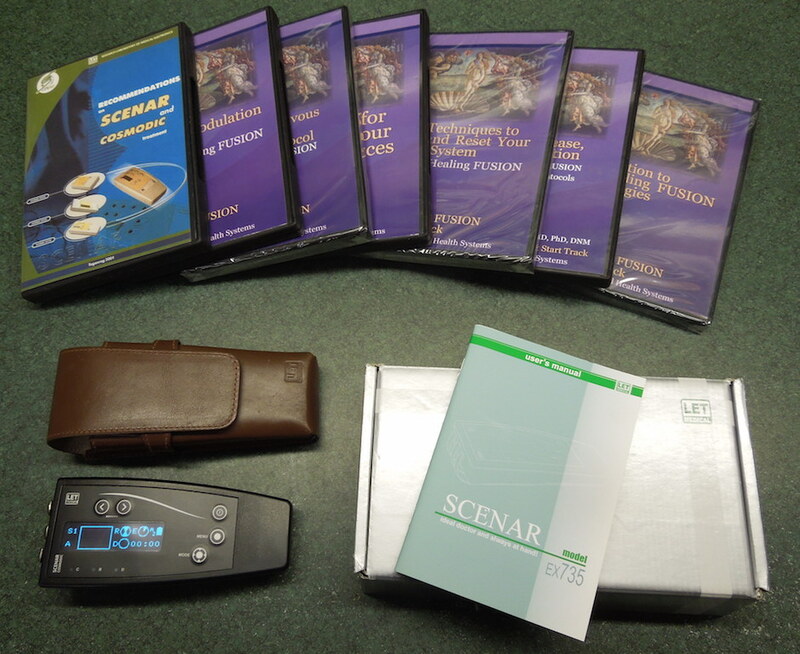 Set includes 10 DVD training packets. Note, there is no warranty on this unit. This unit was purchased in 2012. It is clean and it’s been exclusively for personal use. It comes with the leather case and 14 DVDs. Some of These Are: Introduction to The Healing FUSION Technologies, Immune Modulation Protocol, Health, Disease, and Adaptation, The COSMODIC Fast Start Track, Dr. 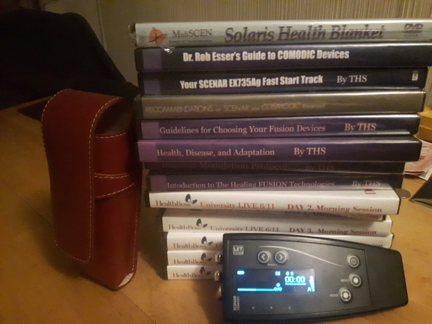 Rob Esser’s Guide to COSMODIC devices, “HealthBoss University Live 6/11” (6 DVDs). CONTACT: Email clank99@hotmail.com or call 705-641-1113. Regretfully for financial reasons, I must sell my almost new equipment purchased in Jan 2017. 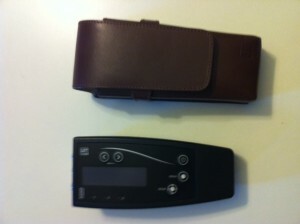 Dove Scenar in leather case, gently used for personal use. Shungite mini spheres 12 mm on flex handles, never used. Shungite semi spheres 35 mm, never used. SOLARIS Health Blanket, protected in duvet cover, and is like new. 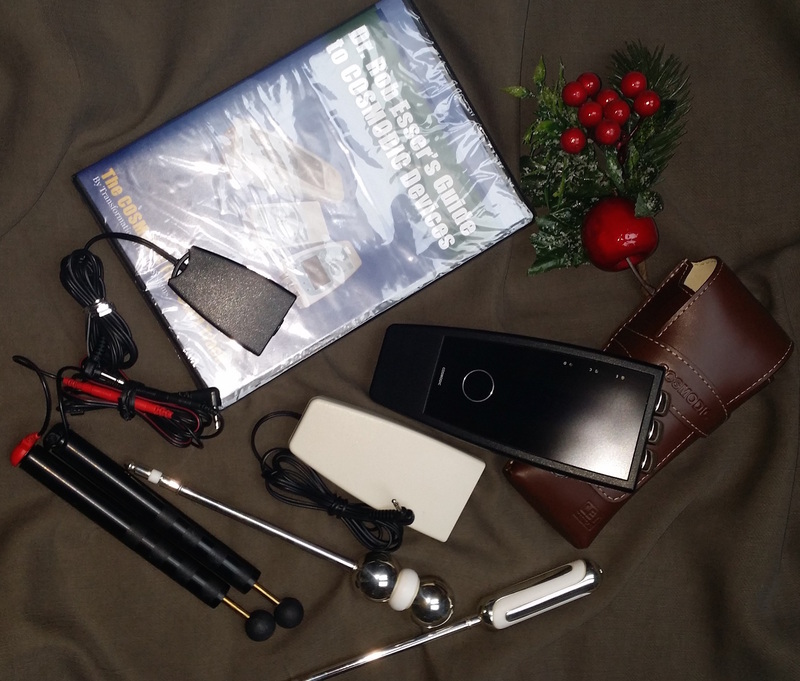 $2,100.00 USD for everything. Ships from Canada. Will consider selling separately. 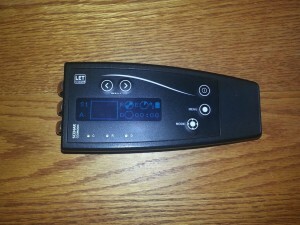 Unit was purchased in 2007, is clean and has been used for personal use only. We are selling the unit because we’ve changed the focus of our business. 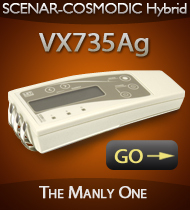 PRICE: $3,499 USD ($6,400 USD new). This price leaves ample room for factory recalibration if necessary. This device is nearly brand new! I purchased it only 5 months ago and it has only been used for 10 or so hours. 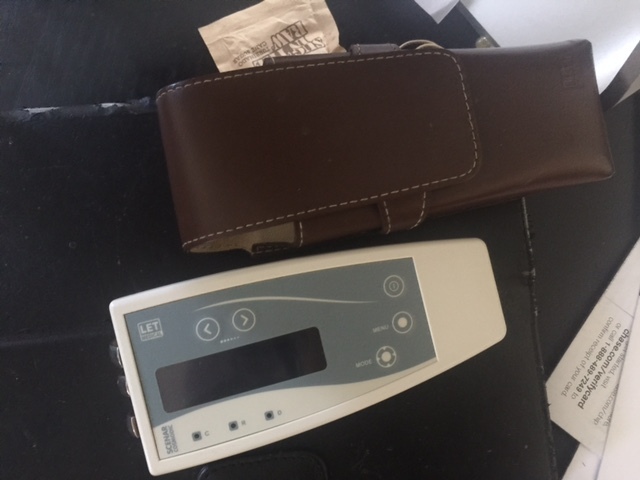 I purchased this device for personal use for a specific issue and am selling because it cleared up the health problem I aimed to use it for. Total Cost to buy new is $2400 USD. Selling for $1,975 USD (or $1,900 USD without shungites). This device was purchased in June of 2013. It was for personal use, I do not have a practice. So I only used the machine on myself. It has been used very little (in fact, it has only 81 hours on it). 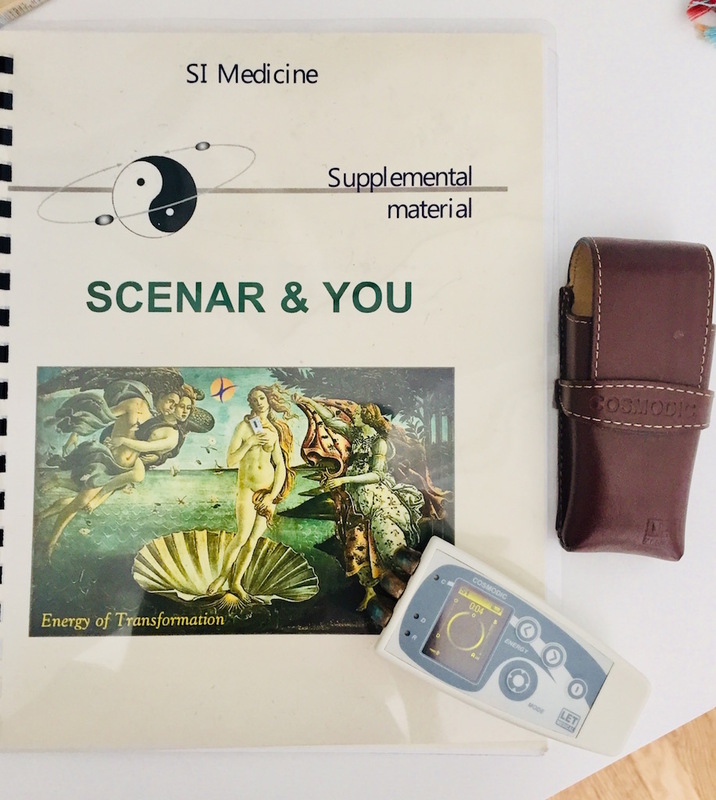 supplemental manual by Dr. Irena ” Scenar and You”. Recommendations on Scenar and Cosmodic treatment DVD $25. 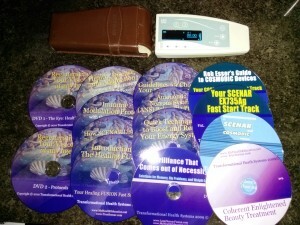 Your Cosmodic fast track DVD $75. Dr. 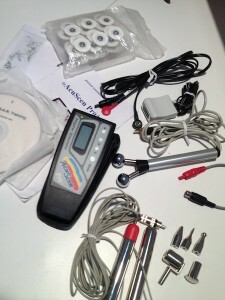 Rob Essers guide to Cosmodic devices DVD $295. 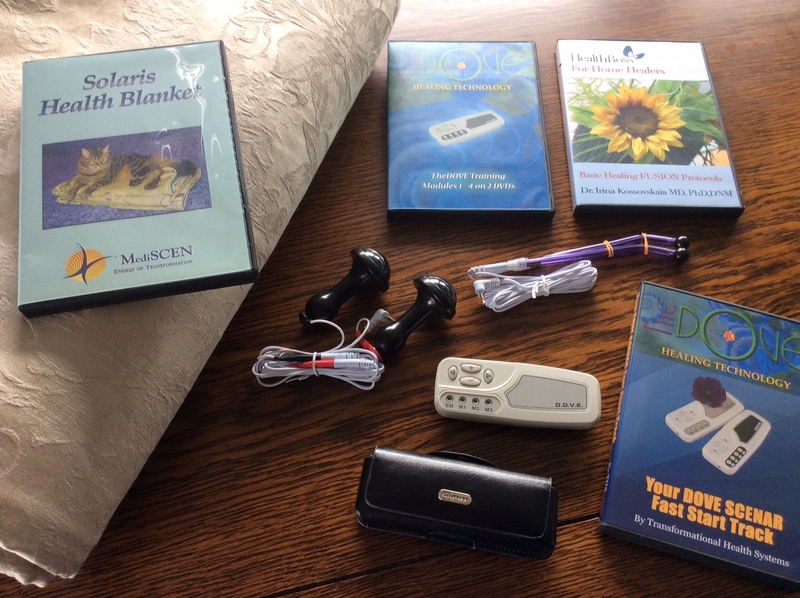 Introductions to healing fusion technologies DVD $25. Health disease and adaptation $75. Quick technologies to boost and reset your energy system DVD $50. 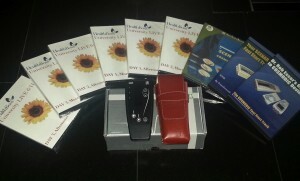 Immune modulation protocol DVD $75. Autonomic nervous system and balancing protocol DVD $75. 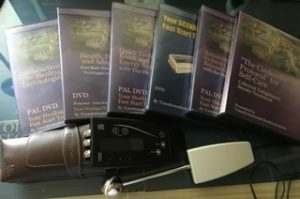 Guidlines for choosing your fusion devices DVD $75. 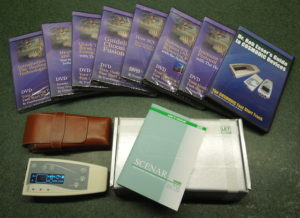 A total of $820.00 dollars of current value (meaning what they are worth today). All in original plastic have not been opened. And there are more DVD’s; these are just some out of the 20 that I have. I am asking $5,500 USD for everything. 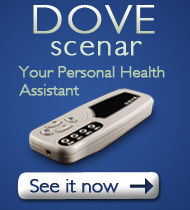 I purchased the DOVE scenar Jan. 2010 and used it for a few months. Then I upgraded to the COSMODIC. 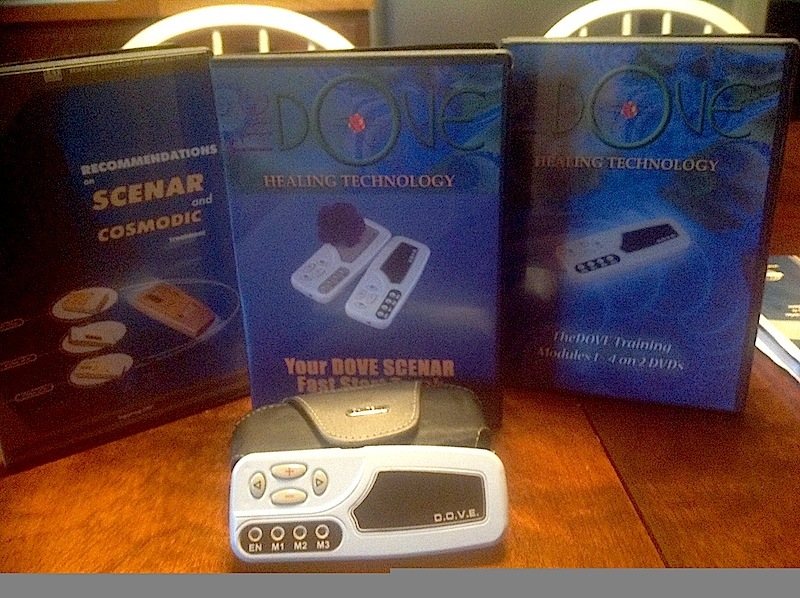 The DOVE is in very good condition and comes with a leather case and 4 DVD’S, The DOVE Training Modules 1-4 on 2 DVD’S, Your DOVE Scenar Fast Track DVD, and Recommendations on Scenar and Cosmodic treatment DVD. I’m asking $1,000. I will ship to Continental U.S.A. only. 3. 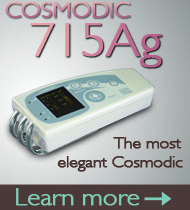 Recommendations on Scenar and Cosmodic treatment. 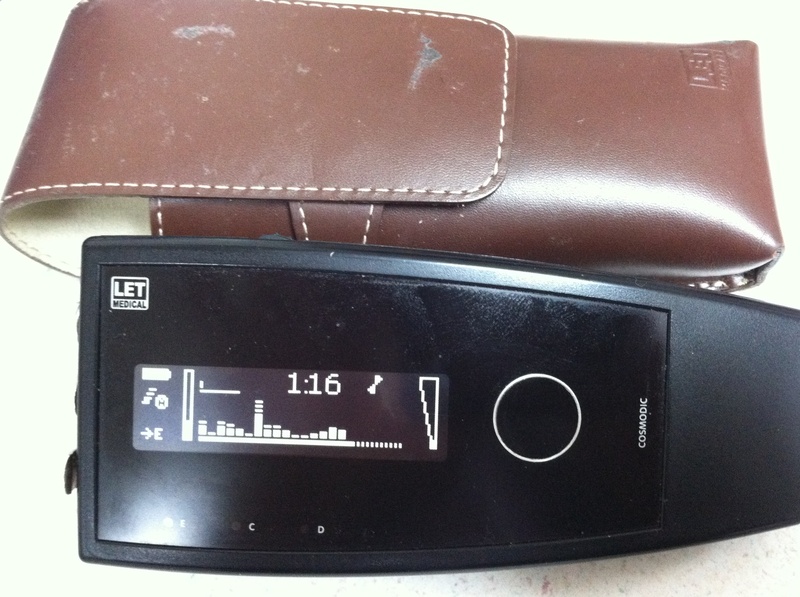 This device was purchased in September of 2013. I am no longer using it in my practice. Really has been used very little. The unit has the leather case. Included are 2 sets of accessory wire leads, the manual that came with the unit, a supplemental manual by Dr. Irena, a fast start track DVD, the complete set of DVD’s from the Health Boss University Live held on June 14, 2014 in Salt Lake City “Make Your SLIDER Sing”. My device has been used only a few times and is like new. It comes with a leather case, a user’s manual, a Scenar and Cosmodic Treatment Textbook, information on ISTA Scenar Devices, information how Scenar listens, a publication on Cosmodic Era Continued-Scenar Therapy, A DVD of Dr. Rob Esser’s Guide to Cosmodic Devices, a DVD of Quick Techniques to Boost and Reset Your Energy System With The Healing Fusion. The few times that it was used, it helped greatly for pain control and healing of a badly damaged ankle. 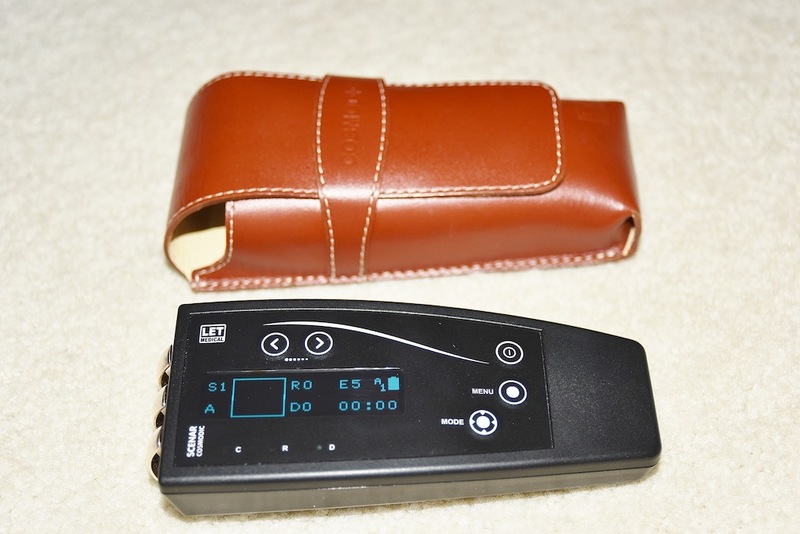 The only reason that I am selling is because I plan to upgrade to a EX735AG Slider. I am not a practitioner. This unit was only used privately. I am asking 3,999.00 USD. My beloved 715Ag is for sale to a new home. 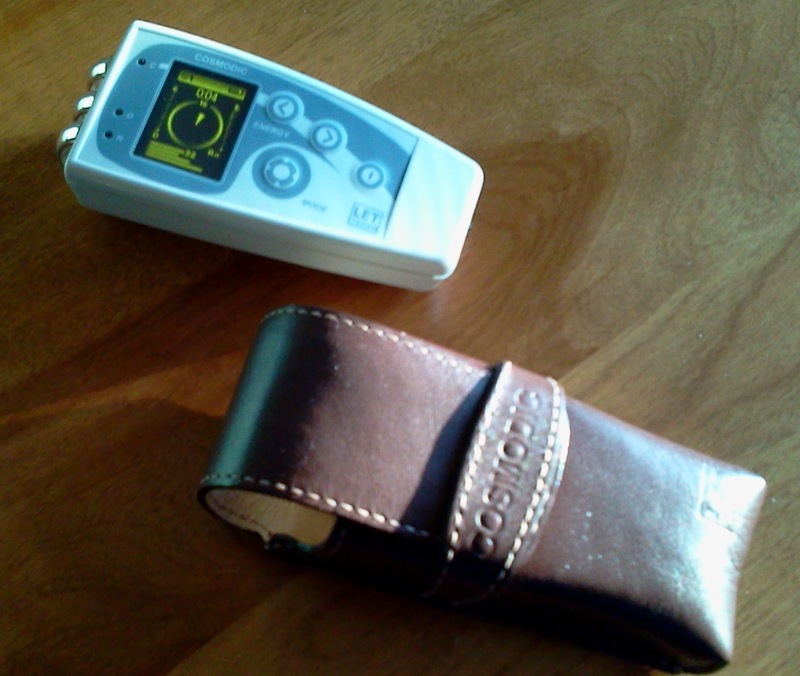 I bought it in Dec’12 and the external probe I bought a few months later. This is the “all new” 715Ag, total working hours 144. 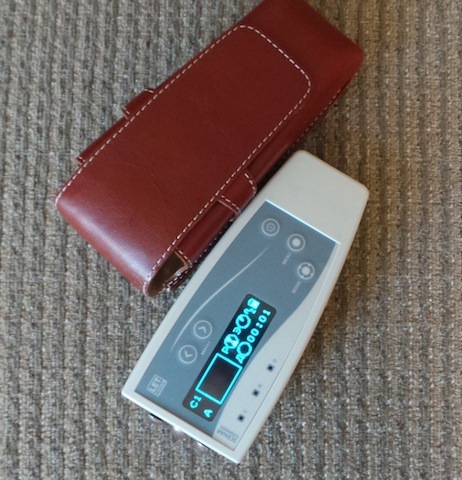 This device is virtually brand new, and it is the latest 715Ag model (Modific) – used relatively little, as I only used it on myself – lovingly cared for – works wonderful. 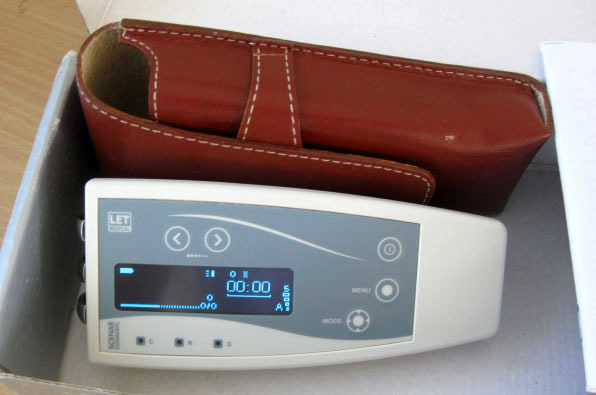 This unit does not have many hours on it as it has been in a very gentle personal use. I do not have a practice. Last year I purchased the EX735 Slider, so I do not need the EX735AG anymore. I paid $6,400 and asking $3,000. We could use PayPal for the financial arrangements. 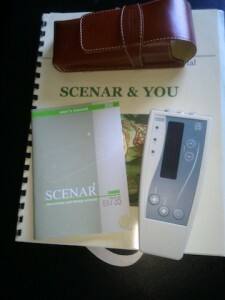 SCENAR-COSMODIC EX735Ag MODIFIC (Not purchased with MediSCEN) and an Energy Blanket asking $5,500 USD. EX735Ag Modific Version 1.09 Sale Date 2-9-2010 Total Work 174 Hours. Total Time of Action 131 Hours. 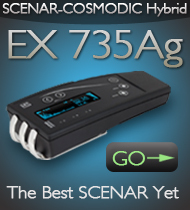 This EX735AG Scenar/Cosmodic is in excellent condition and has seen only light use. 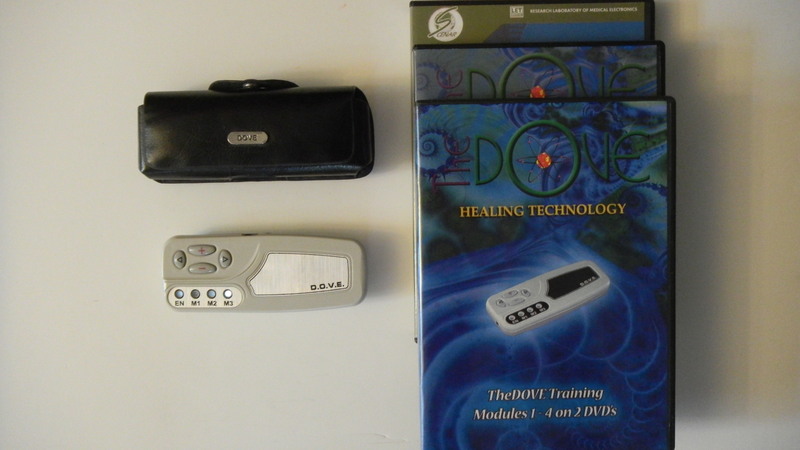 I acquired this device in 2011 and it was exceptionally effective in healing a shoulder injury of mine that nothing else had helped. 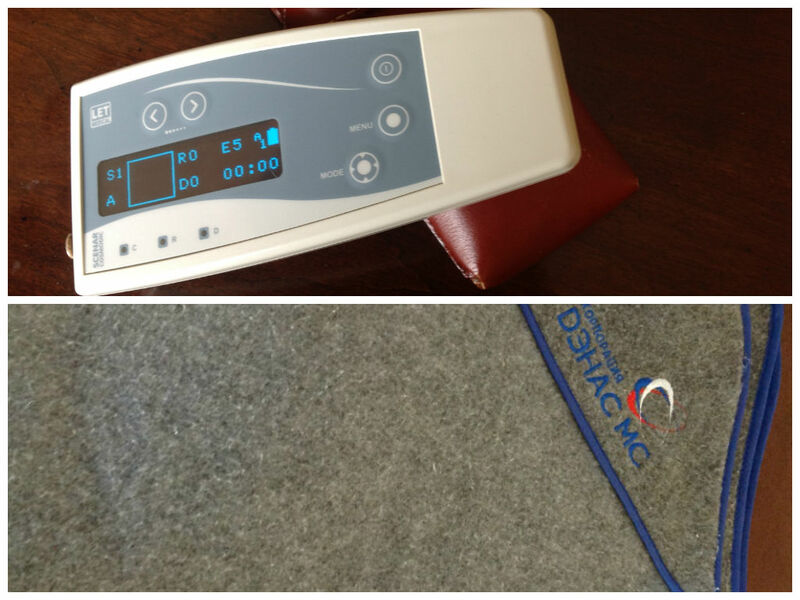 Since then I have used it successfully in my office for occasional soft tissue applications. Most of the time it has been at home and has been cared for very well. I am selling it at this time due to some other financial priorities. The EX735AG will ship in the original box and includes the Users Guide, 3 tutorial DVDs, and 6 DVD’s from a live HealthBoss seminar. Priced to sell at $4,600 USD. Feel free to contact me for more information or additional pictures. I want the buyer to feel confident and happy with their purchase. I bought it for $6,500. Asking $3,000. My device is approximately 2 years old. I purchased it for $7,600, I will let it go for $5,500. 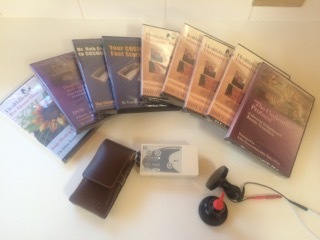 The sale includes training DVD’s and a manual. Feel free to call or email me. 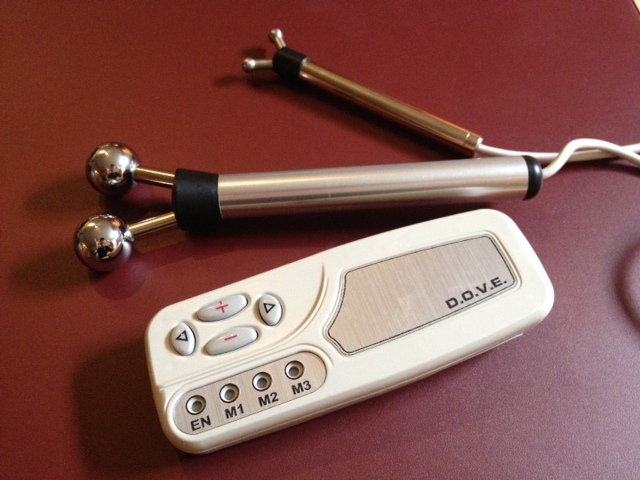 The DOVE scenar in excellent condition, with sets of large and small balls. The unit was bough as a gift, but never actually given away, so it has only a few hours on it. It comes with all training and bonus DVDs and an instruction manual; I just didn’t put it on the picture. I paid $2,200 for everything; asking $1,700. Lightly used Acuscan Pro+ for sale with many attachments, 8 training dvd’s and manuals. I have used it for a year with no problems and all attachments have been used very, very minimally, some never. Attachments are: 1. 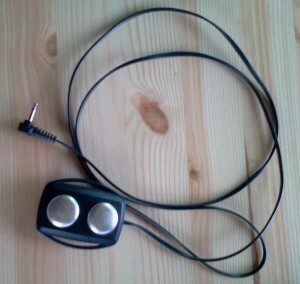 Double Big sphere pencil for electrotherapy and myostimulation. 2. Pencil like electrodes and accesories for nonsurgical facelift with internal reference. 3. 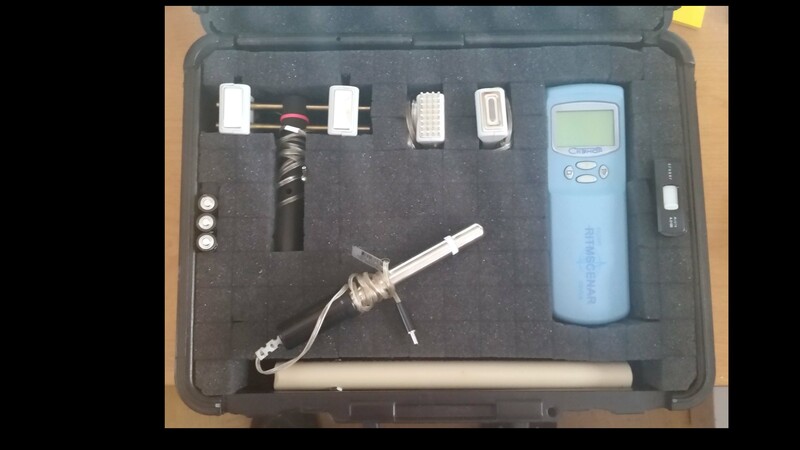 Small face probe. 4. Disposable round electrodes with bipolar connection cables. 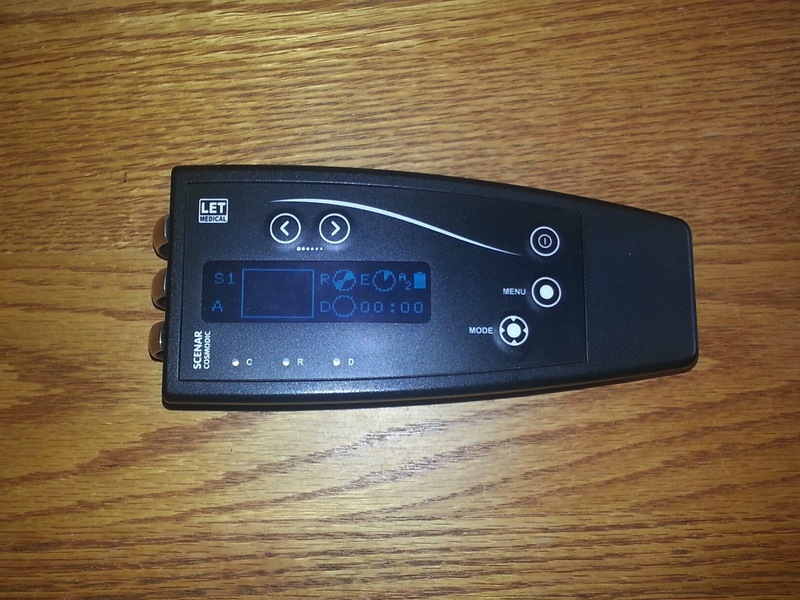 This unit is fantastic and I had GREAT results with it. It’s in perfect working condition and has been responsibly looked after. I am simply switching to a different manufacturer of Scenars. That is why I am selling. Total worth of everything is $3700. I am asking $1,400. I’m looking to purchase the 50 x 100 ml shungite plate attachments which are no longer in production. Anyone have a used set that they are willing to part with? Hello I live en san antonio tx and very interested in purchasing a device for personal use I was diagnose with Fibromialgia 15 years ago and hope I can use treatment for pain please advise which is best for me.thank you. We would be happy to suggest a suitable devices for you. We tried to contact you via the email you provided. However, our email didn’t go through with a message “this email address does not exist”. 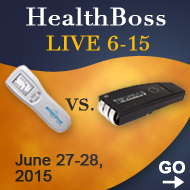 Please contact us directly at support@healthboss.org or by phone +1-855-468-0033 or +1-905-468-0033. 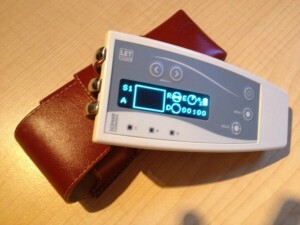 Hi,how much costs the shipping to Europe,exactly to Austria?I wanna buy the ritmscanner with 2400 Euro. Regards Adrian. Our Marketplace is just a board for the ads that people submit to us. We cannot speak on behalf of the sellers. 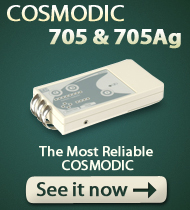 Please contact them directly – the contact information is posted with every single ad. Thank you. Interested in second hand Cosmodic Slider. Live in U.S.
All pre-owned device are on our Marketplace – check the page periodically. Please tell me the cost of this item. 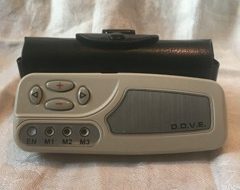 i would like to know whether you still have your DOVE.. and if you are still interested in selling it. I live in Australia. how much ?? what is with the package.? ?